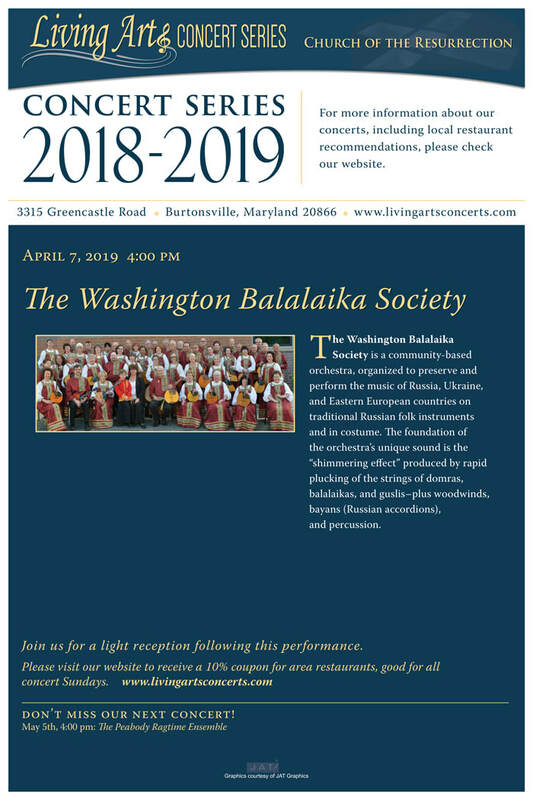 The Washington Balalaika Society is a community-based orchestra organized to preserve and perform the music of Russia, Ukraine and Eastern European countries on traditional Russian folk instruments and in costume. It has been performing in the Greater Washington, D.C. area for almost 30 years. The foundation of the orchestra's unique sound is the 'shimmering effect' produced by rapid plucking of the strings of domras, balalaikas and guslis plus woodwinds, bayans (Russian accordions) and percussion.